For Tanganyika Wildlife Park, #wildlyconnected is more than a hashtag. It describes the park’s goal to improve visitors’ connection with the wonders of the animal world. The family-friendly Wichita attraction gives park-goers up-close, hands-on interaction with many of its 300 animals on exhibit, from riding a camel to feeding a lemur to swimming with a penguin. The park has nearly a dozen supervised experiences with varying degrees of interaction, from petting to feeding to entering the animal’s exhibit. Tanganyika bases the level of interaction by exhibit for safety and to ensure the animals are comfortable in their homes. Fees from the interactive experiences help the private, family-owned park feed the animals in the winter when it is closed to the public. Tokens for each interactive experience can be purchased or there are packages. The Value Pass includes two giraffe feedings, two lorikeet feedings, four children&apos;s zoo feedings (bunnies, tortoises and guinea pigs), one lemur feeding, two premium stations (Indian rhino feeding, pygmy hippo feeding or camel ride) and a free souvenir photo for $15 in addition to park admission. The All Access Pass includes unlimited giraffe, lorikeet and children’s zoo feedings. 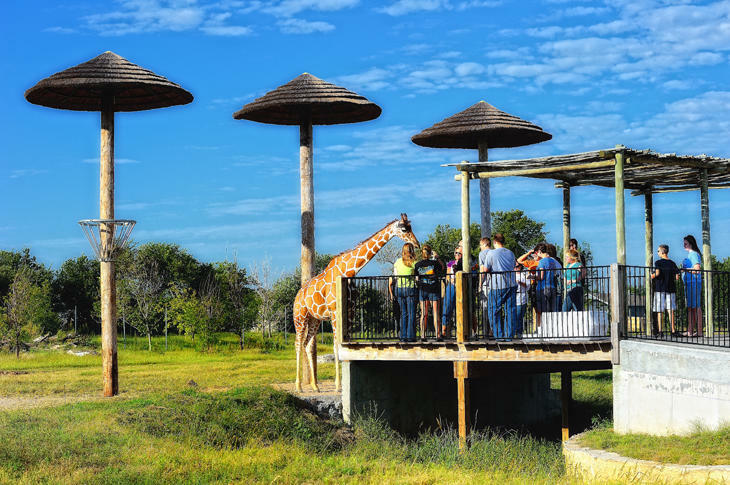 In addition, you receive up to four premium station feedings (lemur, Indian rhino, pygmy hippo and camel ride), so you can do each of them once or any combination you want. This package also includes two souvenir photos and costs $25 in addition to park admission. An interactive experience not listed on Tanganyika’s website is a swim with the penguins. For $175 per person, visitors can feed the penguins and join a keeper for a 30-minute swim in the penguin’s pool. The swims are after hours, so guests are invited to tour the park before the swim. If interested in this experience, call Tanganyika at (316) 794-8954. 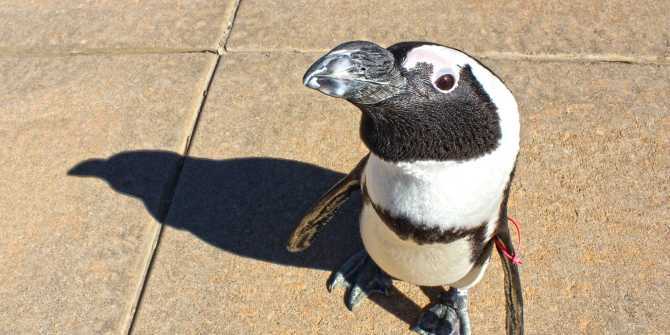 This summer the park opened a 5,500-square-foot enclosed penguin exhibit that is home to about 40 African penguins. The building also is home to an albino American alligator, and an adjacent exhibit is nearly complete with indoor and outdoor viewing areas for the park’s otters. Tanganyika has previously had penguins on exhibit at an outdoor pool and indoor nesting boxes. The new habitat protects the penguins and makes them more accessible to visitors. Like 50 percent of the animals at Tanganyika, the African penguin is considered endangered. The Fouts family started Tanganyika Wildlife Company as a zoo supply business and opened to the public as Tanganyika Wildlife Park in 2008 on the west edge of Wichita. Tanganyika breeds and distributes exotic and endangered species and also welcomes 100,000 annual visitors. Tanganyika has two special events this fall that help the park raise money for its winter fund and also give participants a unique experience. The Meritrust Tiger Trot 15K/5k run/walk is Sunday, Sept. 18. Pumpkins at the Park is 6 to 9 p.m. Oct. 21-22 28-30. Staff adds 400 illuminated pumpkins and 15 candy stations around the park and offers activities, shows and attractions for young children, older kids and adults. Tanganyika is open from 9 a.m. to 5 p.m. daily May through Labor Day; 10:30 a.m. to 5 p.m. Friday, Saturday and Sunday in March, April, September, October and the first weekend of November. Admission ranges $11.99-$16.99 for ages 3 and up.